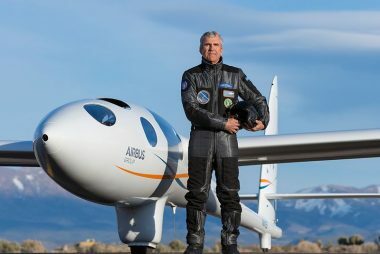 Home / Gliding FAQ / What is the highest a glider has flown? In the UK gliders regularly fly up to 20,000ft. The record at Black Mountains Gliding Club is 32,000ft. A normal glider, if equipped with oxygen, can get this high with the right conditions. However, there are now airspace limitations that prevent very high flights. At Talgarth we have airspace that is free in places to over 19,000ft. In terms of the outright world record? As of September 2018, the record is 76,124 ft. To put that in perspective it’s above the ‘ceiling’ of the high altitude U2 spy plane. The record was set in a special glider called Perlan 2. This is now funded by Airbus industries. The project goal is to get to 100,000ft+. This would beat the outright altitude record of 85,069 ft set in 1975 by a SR-71 Blackbird. Most people, even experienced power pilots, are surprised at this. How is it done? 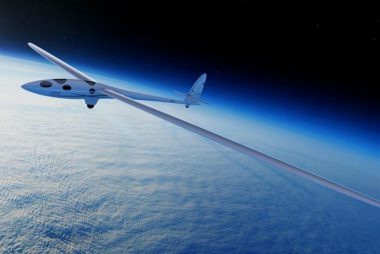 Well Perlan 2 is specially designed for high altitude record setting. For a start it is pressurised! And fitted out with oxygen systems and other equipment specifically for record breaking flights. 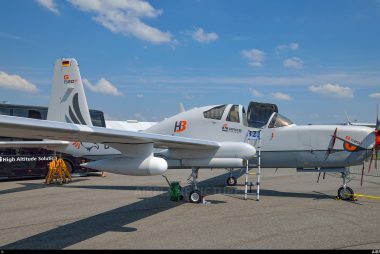 It’s too high to use normal oxygen masks and the pressurised space suits supplied by NASA for earlier record setting are cumbersome and less than ideal for these long record-breaking flights. Also, the glider needs to be in a weather/atmospheric ‘system’ that can generate rising currents of air to 100,000+ft. That’s 17 miles up! There are few places on earth where there are meteorological conditions to support this sort of flight attempt. Perlan 2 has focused on a stratospheric ‘wave’ system that sets up over the Andes! 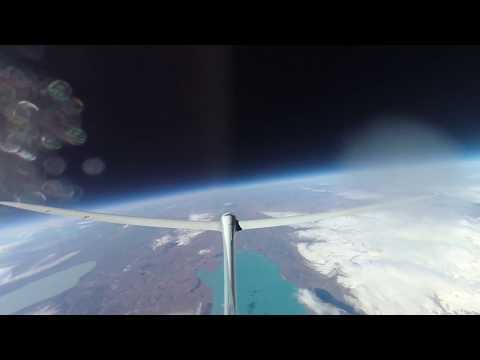 Perlan 2 is towed to around 40,000ft using a very special pressurised, high-altitude plane called a Grob Egret! From there the Perlan pilots will find the best areas of lift and soar upwards using just the energy in the very high speed ‘Andes Wave’ currents. Keep an eye on Perlan 2 through 2019. The 76,124ft record is just for starters.